The Answer is 42!! : How to make a Printed Circuit Board! Electronics, Robotics and Computing Tutorials for Everyone! How to make a Printed Circuit Board! Its been a while since I posted! One of the blog subscribers has asked me to write a step by step guide on how to make a printed circuit board. There are many guides available online already and this is my version. I hope people find it useful. There are several methods of making a permanent electronic circuit. Engineers and makers alike use many different methods. The most popular by far is making a printed circuit board or PCB. 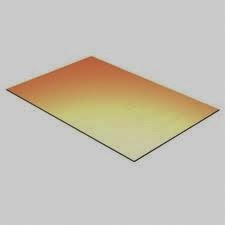 The board material or substrate itself is a glass reinforced plastic sheet material is known as FR4. 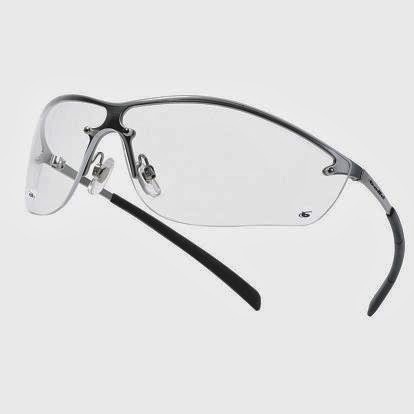 Its a a glass reinforced plastic sheet designed specifically for the purpose of supporting electronic components. 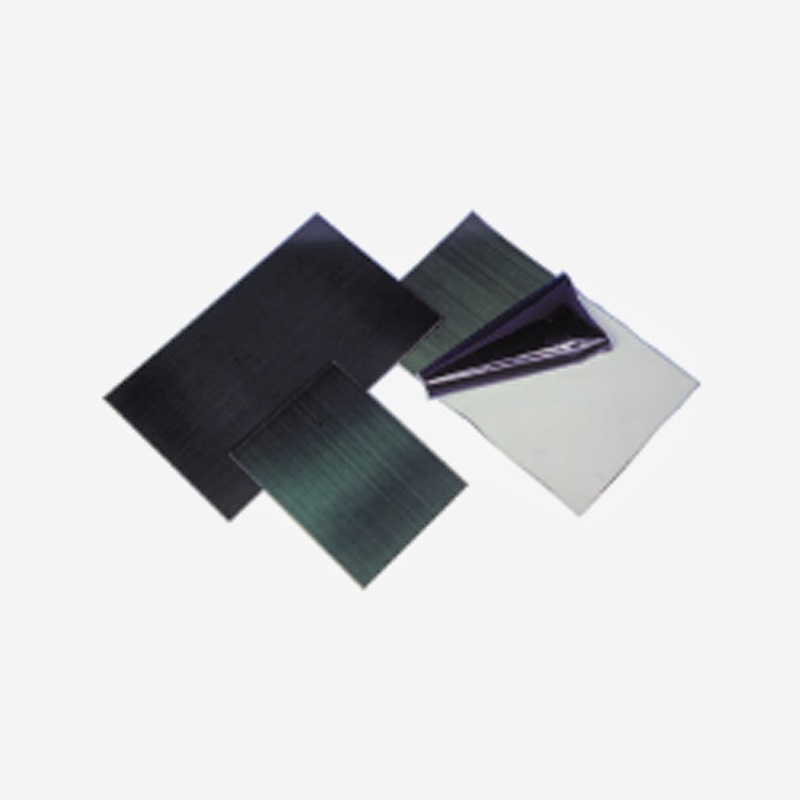 The FR4 material is cladded or coated in copper on either one or both sides to allow the electrical circuit to be made. For hobbyists and makers there are two distinct methods of manufacturing a PCB. The design or layout for the electronic circuit is drawn as a series of lines and shapes in a suitable piece of design software, printed on a transfer medium such as glossy paper or acetate sheet. This design is then transferred to the copper clad FR4 sheet either by exposure to ultra-violet light or by using heat to transfer the design. It needs to be slightly larger than the total area of the design you intend to make. If you are looking to use the UV exposure method ensure you buy UV resist coated FR4 PCB material. Buy FR4 Single Sided PCB from EBAY - not UV resist coated and therefore much cheaper! As a clothes iron can be obtained just about anywhere I'm not going to provide a link! These aren't cheap so I made my own with a load of UV LEDS and a small power supply but a daylight bulb or a professional light box can also be used. Professional UV exposure box - EBAY, very expensive!! 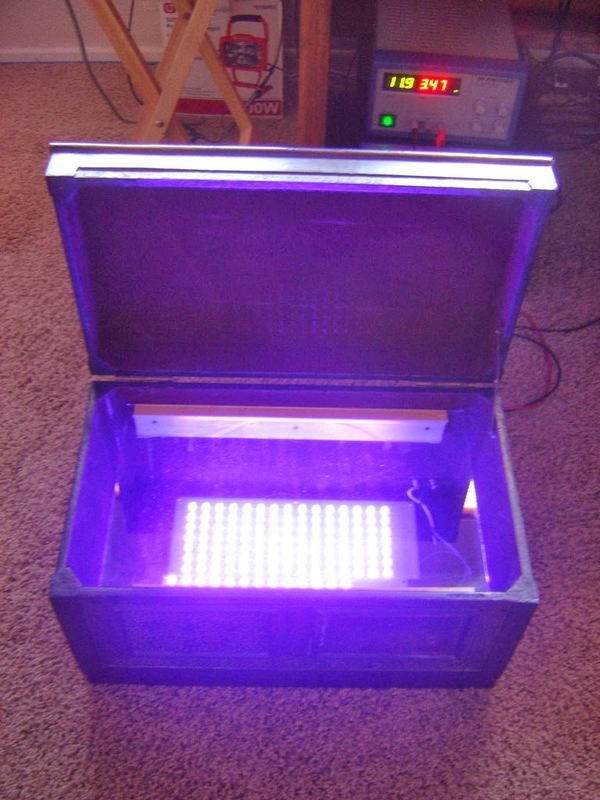 How to make a UV Light Box - Cheaper, but you will need at least 30 UV LEDS, 30 75 Ohm Resistors, a 12V power supply, solder, wire, tools and a black plastic box to put the light source in. You don't want to be able to see the UV light. It damages your eyes! 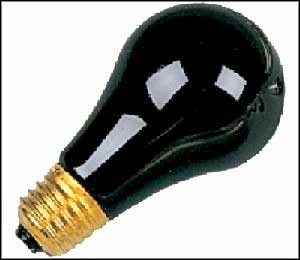 UV BlackLight Bulb - Cheaper and quicker still - use a Blacklight to expose the design on to the PCB. 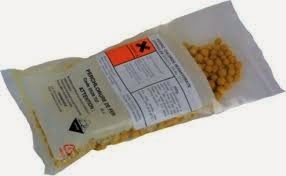 Universal development granules - You will need to add tap water to the granules in order to make up the solution. Follow the instructions provided. 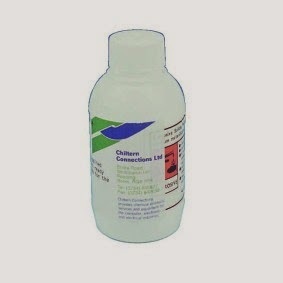 You will need a plastic bottle to store the solution for later. I made a special tank for this with a PCB holding net and an air pump to agitate the PCB etchant. 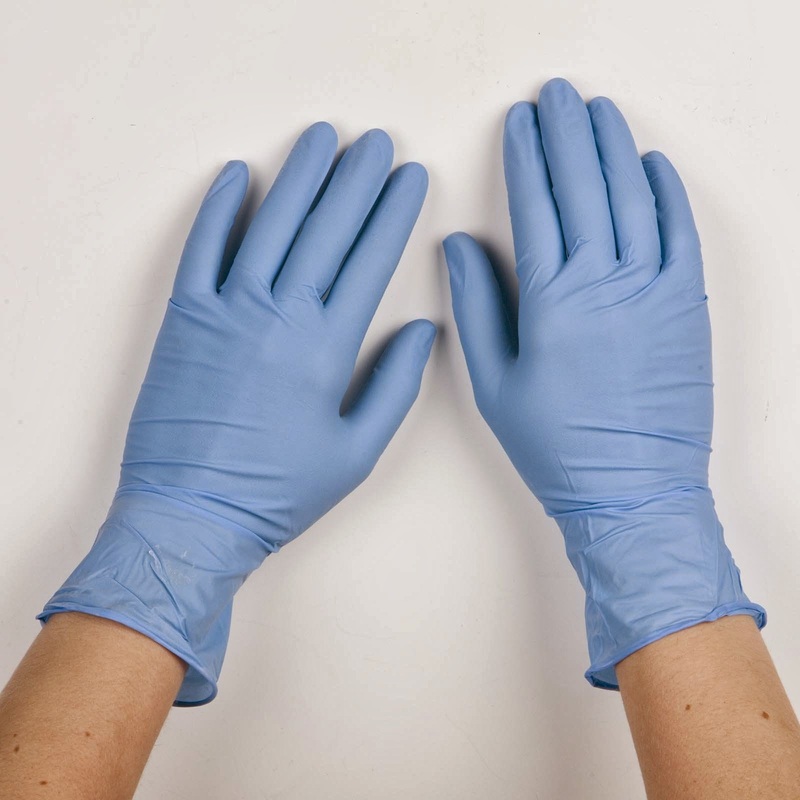 Finally some latex or rubber gloves, some eye protection goggles a lab coat or work clothes and some plastic tweezers - These should all be available on EBAY or locally in a hardware store. Once you have obtained all of these things the process can begin...Exciting times! Next you will need to draw the schematic diagram and then design the PCB layout. I won't go through the nuances of using the program here as it takes a long time and there is much to discuss. If a tutorial on using eagle is needed please let me know in the comments section. I have posted many images of schematics in various previous posts. Below is an image for an arduino shield I have designed. It's an audio amplifier using a very popular LM386 amplifier. 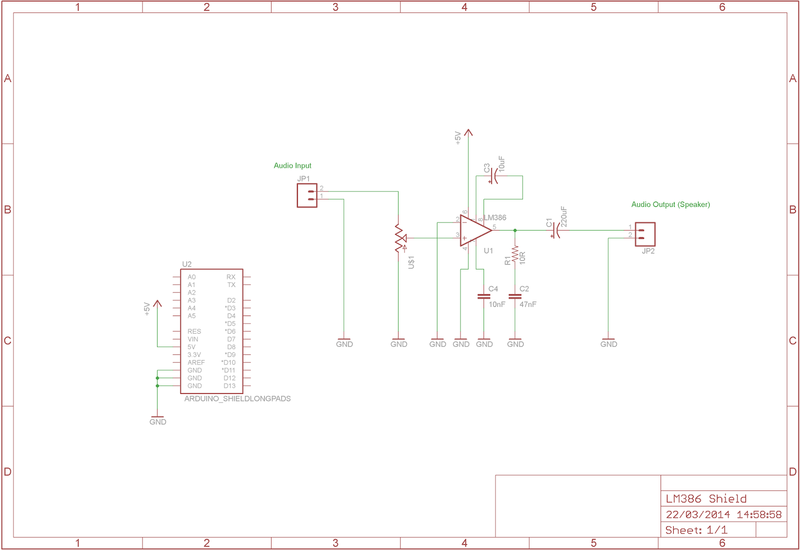 Once I had drawn the schematic I laid out the electrical connections to make a single sided PCB: The screen shot below shows the design and the components arranged and all of the tracks connected. 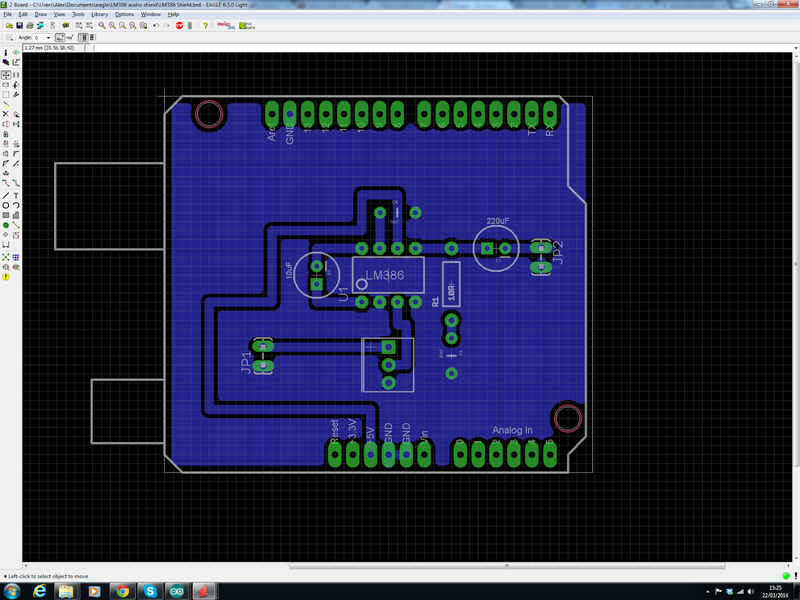 To make the PCB we will need to print out this design with just the blue tracks and green pads displayed. At this point we are ready to start the preparations for making our PCB. I will do the process for the UV transfer method first. 1. 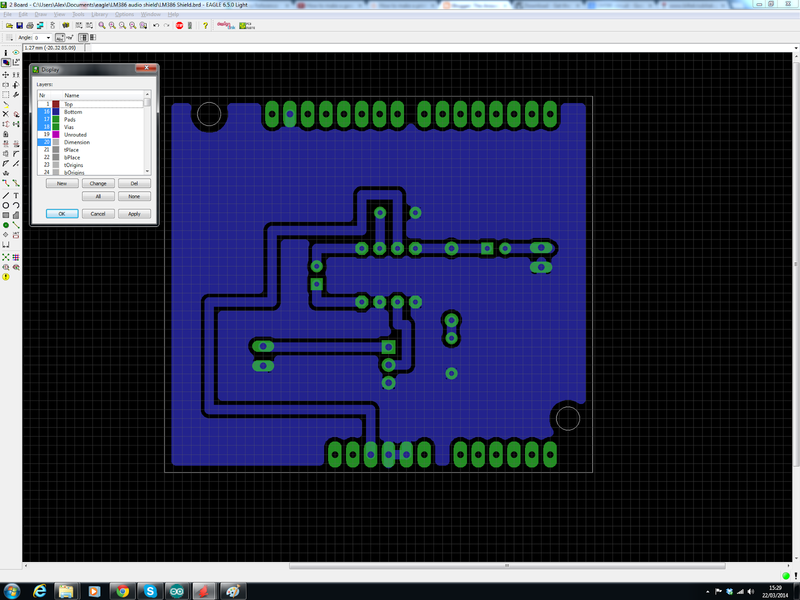 With the PCB layout complete as above print out the layout with only Pads, tracks and overall dimensions of PCB displayed. Load the printer with printer friendly clear acetate sheet. Ensure printing is not scaled (1:1) or mirrored and is in black and white. I like to make a PDF of my layout as I find it prints with a slightly darker hue. I also use a laser printer as I have found these work better. 2. Next its time to take the print out of the design on acetate and cut it to size. After it's printed make sure you know which way up the design is. You don't want to mirror the design! 3. Next cut out the pre sensitised PCB to size. Leave a little extra just in case at the edges. Do not peel off the protective film and expose the PCB yet! Once it's cut to size take the acetate print out of the layout (cut that to size) and place it on top of the PCB, Now peel off the protective film and place the acetate on the pre-sensitised copper layer - ensure you have the design the right way up as you don't want to mirror the layout! Hold the layout in place with box clips or masking tape. Make sure you don't obscure any of the layout! 5. Make up some of the sodium hydroxide development solution following the instructions given. Don't mix up more than you need as I find the solution does not keep well. 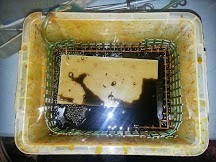 Place the exposed PCB in the developing tray (clean plastic tray or box). 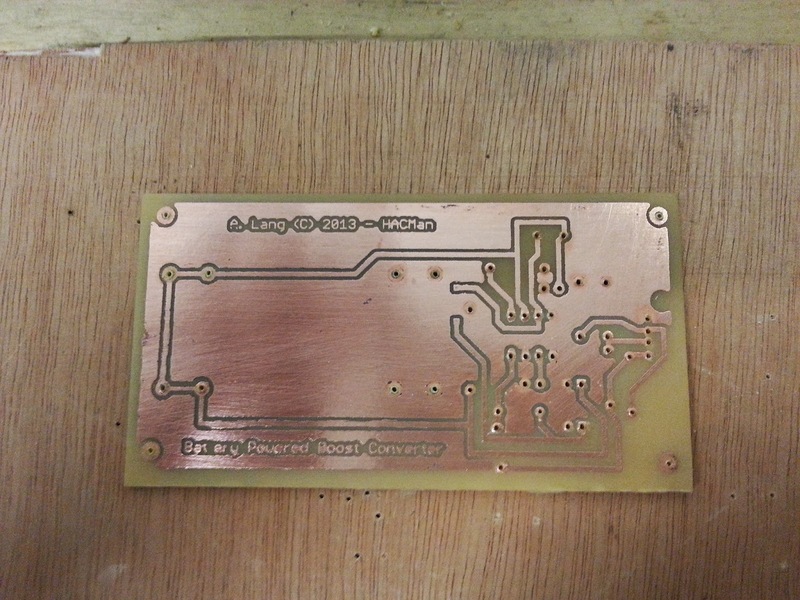 Gently agitate the solution over the PCB until you start to see the layout appear as a brown or green coloured design. 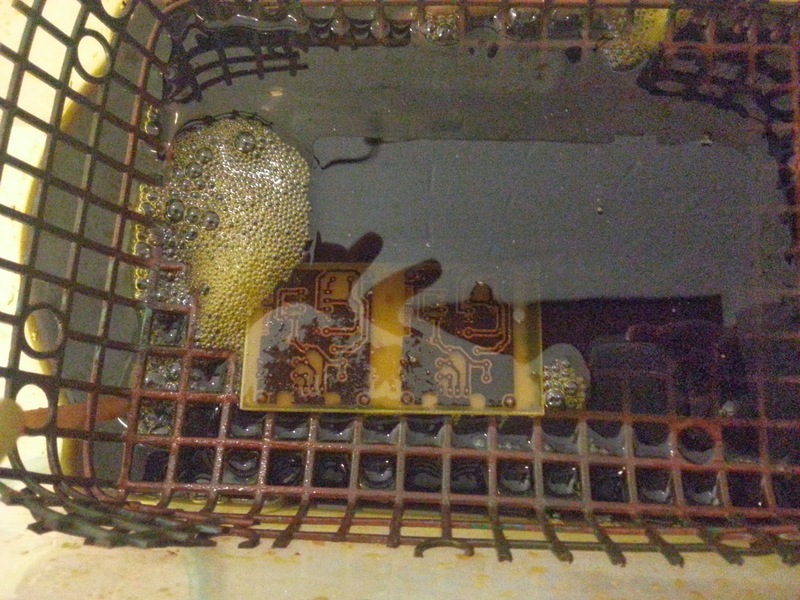 As soon as the design is fully exposed remove the PCB from the development solution and place it in some clean tap water. It is important to stop the development solution over exposing and clearing all of the tracks off. If you over expose you will have to start again with a new piece of pre-sensitised PCB....practice makes perfect and I have had mixed results. It is why I prefer to use the toner transfer method of making PCBS. 6. 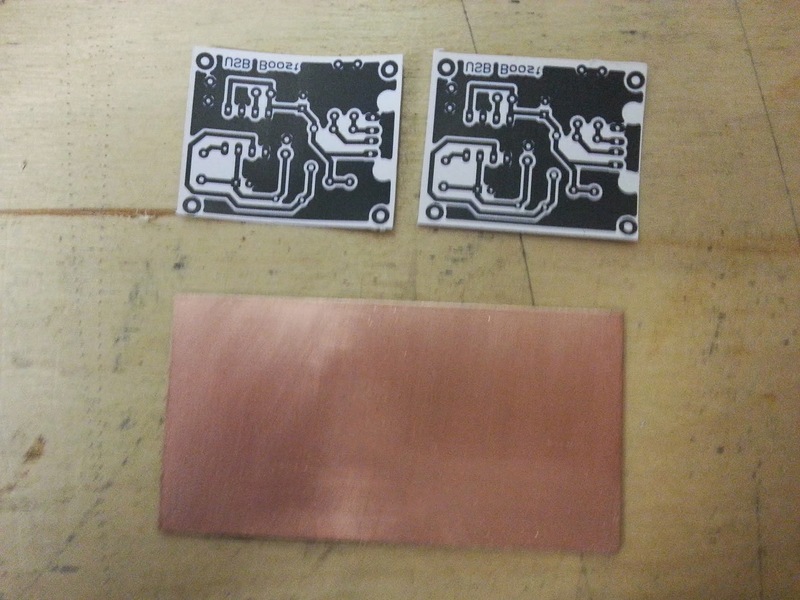 Once the PCB design has been properly transferred to the PCB it's time to etch the uncoloured copper away using the ferric chloride or whichever etchant fluid you are using. 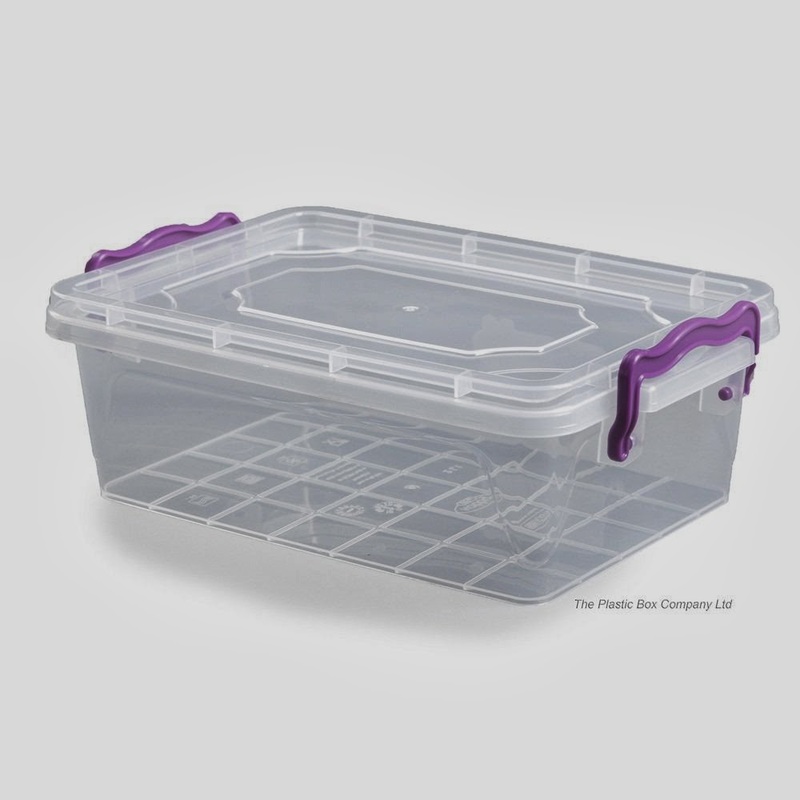 Place the PCB in the etch tank with the design facing up or into a plastic box filled with etchant or suitable etchant container. 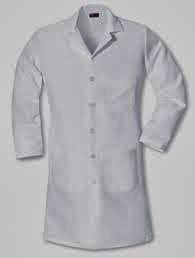 Make sure it is not metallic as ferric chloride or any etchant for that matter eats through most metals! 7. Gently rock and agitate the etchant for about ten minutes. 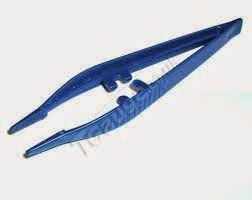 Using plastic tweezers or taking care roll the etch tank to one side so that you can see the design. See if the unexposed copper has been removed. If it hasn't continue agitating the solution until it has been completely removed. 8. 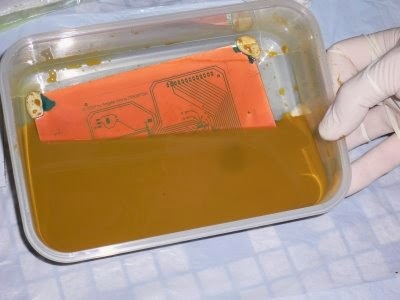 Remove the PCB from the etching fluid and clean it using tap water. Be careful not to get etching fluid onto anything metallic. 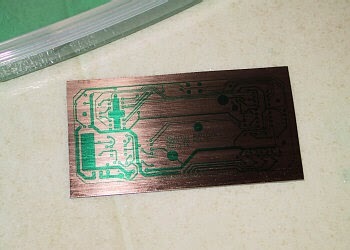 You should be left with a very clean and detailed etched printed circuit board! 9. Drill out any holes as required - my designs are nearly all through hole so I have lots of drilling to do! 10. Finally populate and test your PCB - hopefully it will work first time - Good luck! 1. Load a laser printer (it has to be a laser printer) with 120 GSM glossy paper. Make sure the smooth side is the side that is presented to the toner ink. Print out the PCB layout with only the tracks, pads and dimensions present. Be sure the printout is mirrored before you begin. 2. 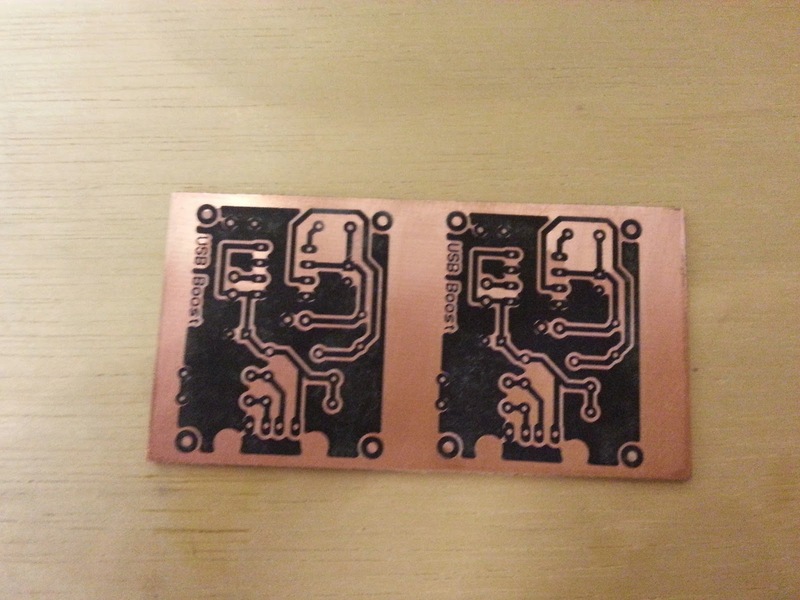 Once you have the printout on glossy paper its time to get hold of the blank copper clad PCB material. 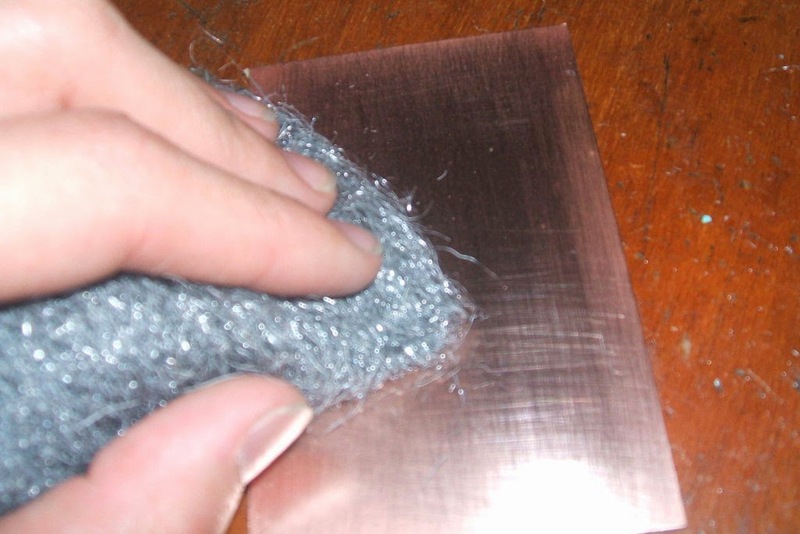 Cut it to size and clean the copper using a polishing block or pencil eraser. The copper area needs to be cleaned to remove any excess dirt or grease. At this point I wear plastic or latex gloves to prevent finger prints. You could also use wire wool. 3. 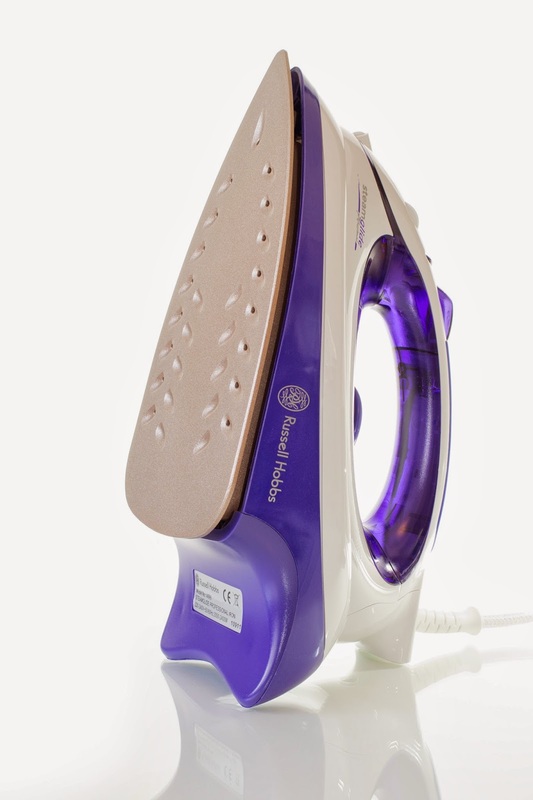 Heat up a clothes iron to as hot as possible - make sure there is no water in the iron (if its a steam iron). 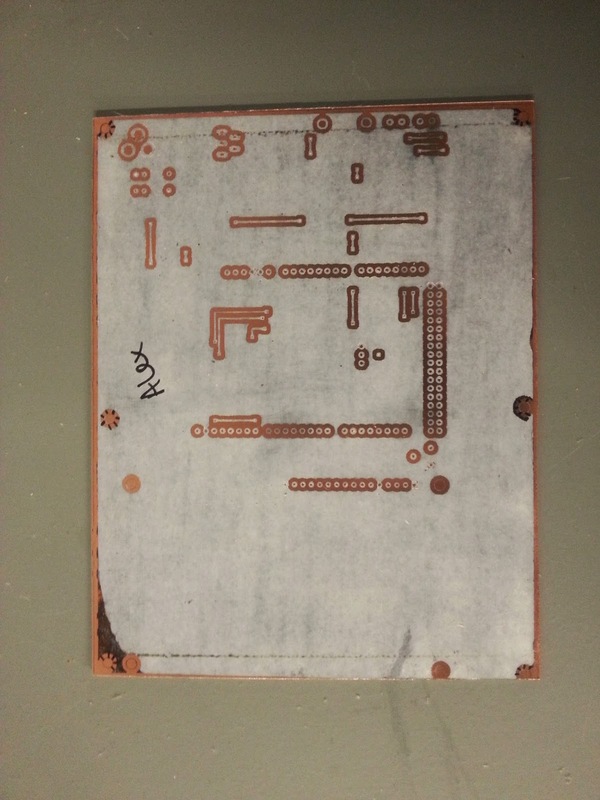 Place the printed PCB layout toner side down onto the cleaned copper side of the PCB. If needed secure the printout in place using masking tape or box clips. 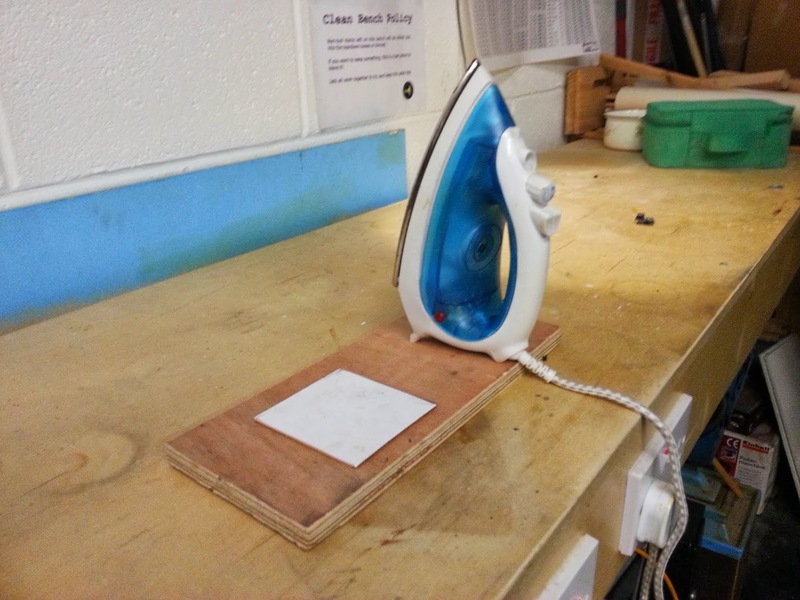 I use an old piece of wood to press down on when I iron on the design. The heat causes the toner to transfer from the paper onto the PCB; About 5 minutes of ironing should see the design properly transferred. Practice makes perfect! 4. Once you are happy the design has been transferred turn off the iron and place the PCB into a bucket of cold tap water. Be aware the PCB is probably quite hot so use suitable heat protective gloves or tongs! You can just leave the PCB to cool but I'm impatient! Next soak the paper off the PCB exposing just the ink and the copper. I like to use an old toothbrush to clean off the excess paper. 5. Once complete inspect your transfer. You should be able to read any text present and there should be no broken tracks. If there are broken tracks you can touch them up using an acid resistant marker pen like the permanent markers used for writing on acetate sheets. If the design didn't transfer well at all you can clean off the toner and repeat the process from step 3 onwards. Again practice makes perfect and this is why I prefer the toner transfer method. I can rectify mistakes early on. 6. Now it's time to etch the PCB using the etchant of choice. 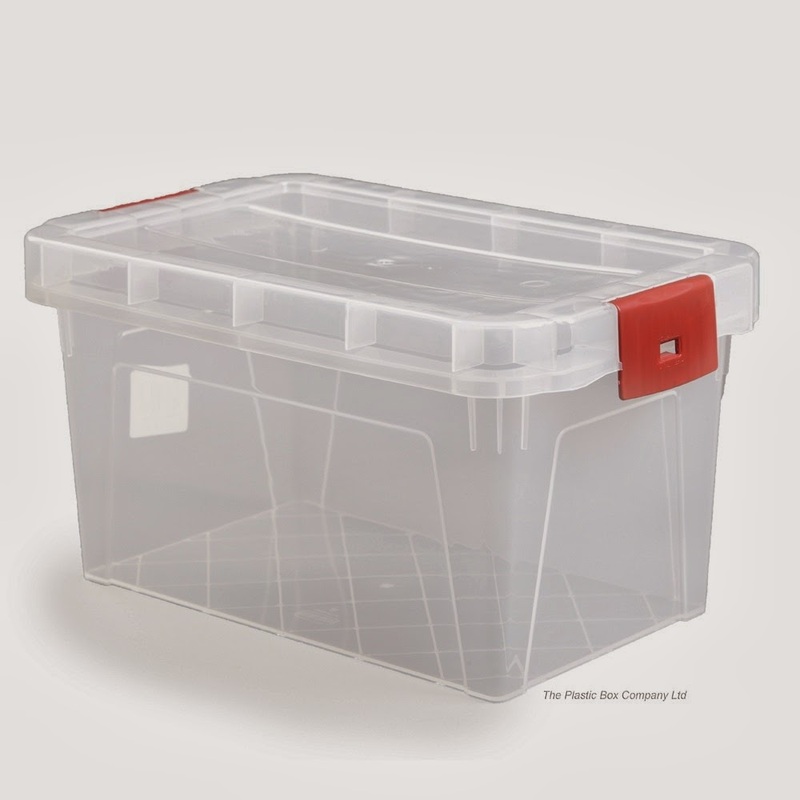 Place the PCB in the etch tank with the design facing up or into a plastic box filled with etchant or suitable etchant container. Make sure it is not metallic as ferric chloride or any etchant for that matter eats through most metals! 8. Gently rock and agitate the etchant for about ten minutes. Using plastic tweezers or taking care roll the etch tank to one side so that you can see the design. See if the uncovered copper has been removed. If it hasn't continue agitating the solution until it has been completely removed. 10. After that it's time to drill any holes required using a suitable pillar drill and drill sizes before populating your PCB with components and soldering it up. Hopefully if it was designed properly it will perform the function you require! Well that's about it. I hope this guide is useful to people. Please comment or contact me if you need more help or information. That's about it for now - take care always - Langster! Alexander Lang - (C) 2015. Powered by Blogger.